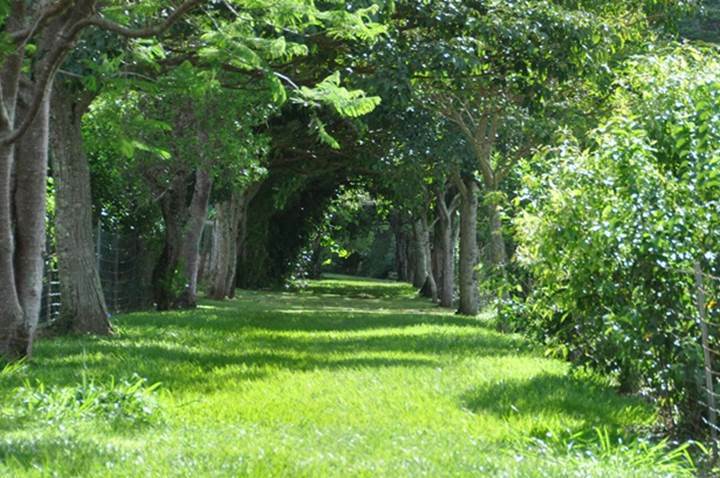 "Heavenly Hikes" is a ministry of All Saints' Episcopal Church in Kapa'a, Hawaii (Kauai). The goal of "Heavenly Hikes" is to foster fellowship, to support healthy bodies, minds, and spirits, and to appreciate our beautiful Garden Island that God has so richly blessed us with. Each month (usually the last Sunday), members of All Saints' Church, friends, and guests/visitors explore together our spectacular island home. The hikes are designed to be family-friendly and are open to everyone including guests/visitors. The hikes begin after All Saints' 9:30AM service (roughly at 11:45AM unless otherwise indicated). Our starting locations vary based on the hike location. We rate our hikes: Easy, moderate, and strenuous. All hikes feature "regroup" points and are designed to support a wide-range of experience and ability. Regular updates will be posted to this page regarding meeting locations, trail maps, approximate distance, and level of activity. On this Sunday, February 26th, the Heavenly Hikes Ministry will head to Sleeping Giant via the southern trail. The Nounou Kuamoo Trail is the trail located on Kuamoo Road just past Opaekaa Falls. It is the longest trail leading to Sleeping Giant (2.5 miles each way). The hike will lead the group over the Opaekaa Stream across a quaint wooden bridge and through a forest of strawberry guavas. Past a grove of large bamboo, the Kuamoo Trail joins the Nounou West Trail in the beautiful cathedral forest of Cook Pines planted by the Civilian Conservation Corps in the 1930s. At the top of the trail, you will be rewarded with sweeping views of mount Waialeale, Anahola's Kong mountain, Wailua River Valley and the coastline from Kealia to Kalapaki. The total distance will be about 6 miles and does include a steep trail to the top of Sleeping Giant. This hike is rated moderately-strenuous. Those interested in joining the hike can meet at 11:45AM in the Church parking lot to carpool. Be sure to bring water, a hat, and a lunch/snacks.